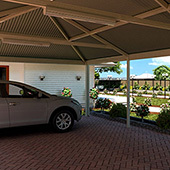 A carport or verandah from the LYSAGHT Living Collection® range is assured to be a premium structure that will allow you to experience outdoor living year round, and to capitalise on the great Australian climate. 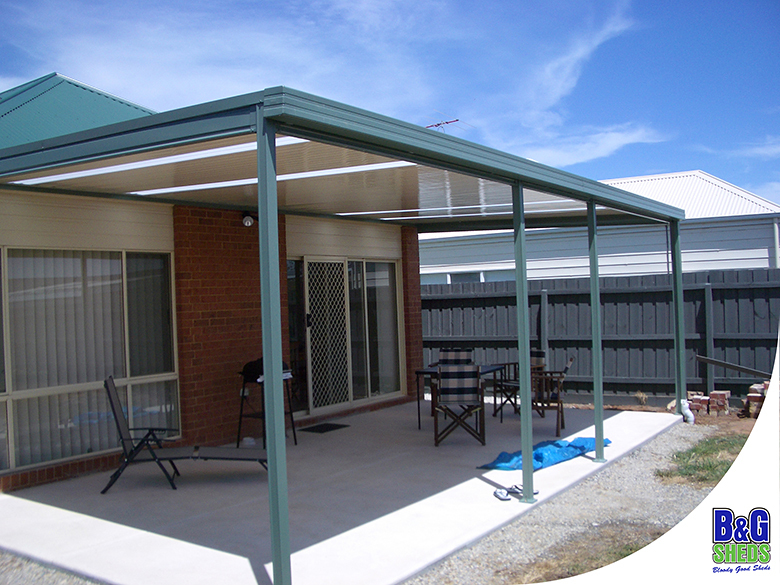 They feature 100% Australian-made COLORBOND® steel designed and manufactured by Bluescope Lysaght. 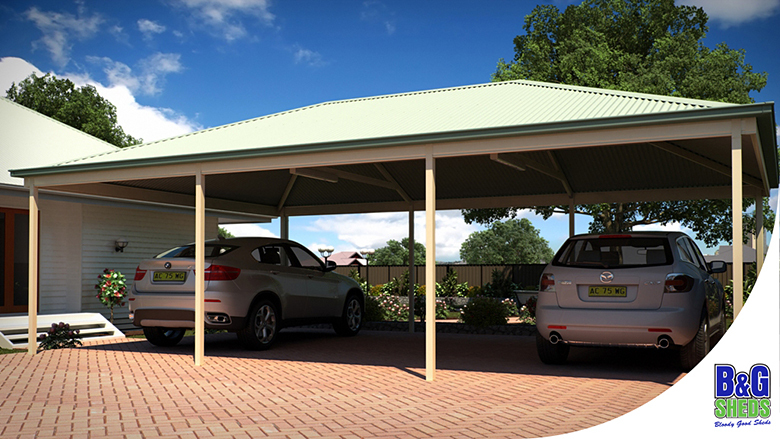 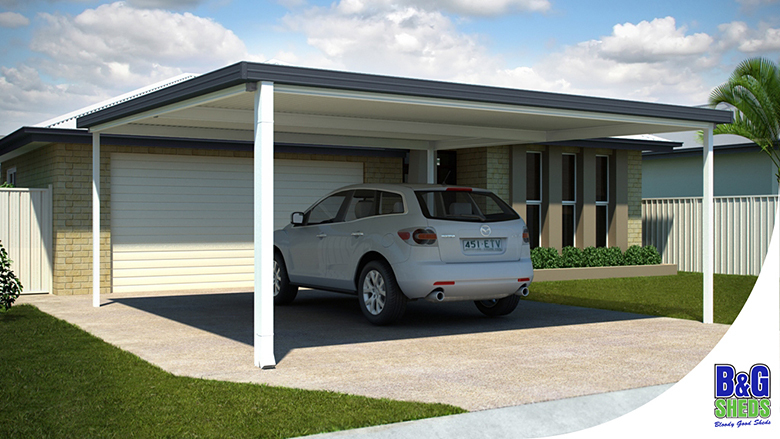 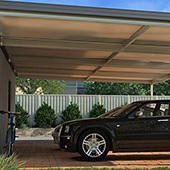 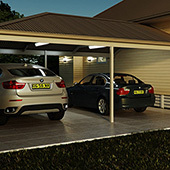 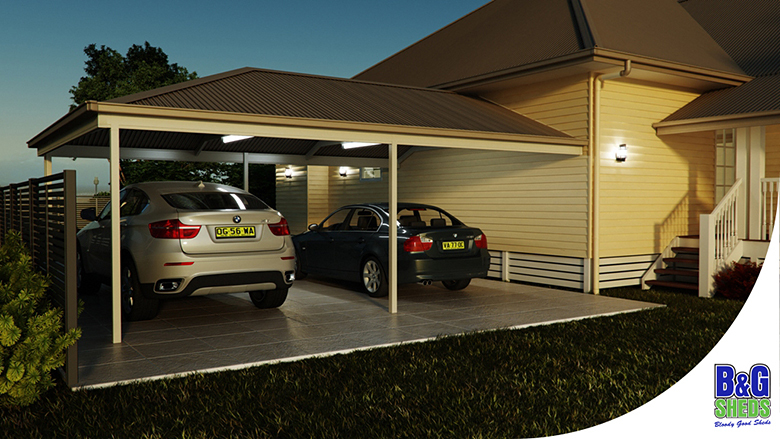 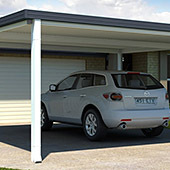 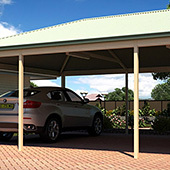 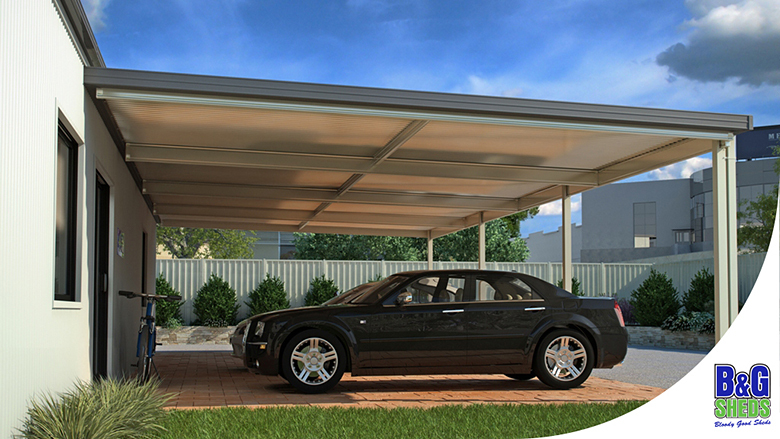 With over 150 years of experience, you can be assured your new carport or verandah will be a superior investment for entertaining, relaxing or protecting your car for many years to come. 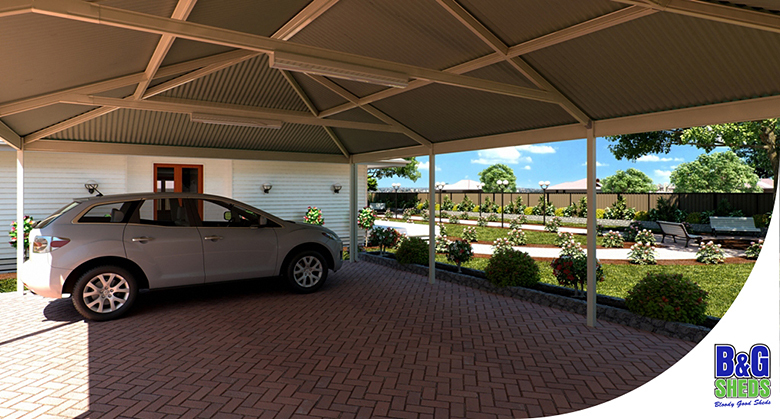 Complete design flexibility to create just the space and look you need. 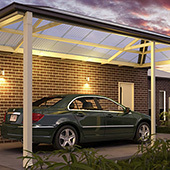 Designs to complement almost any architectural style. 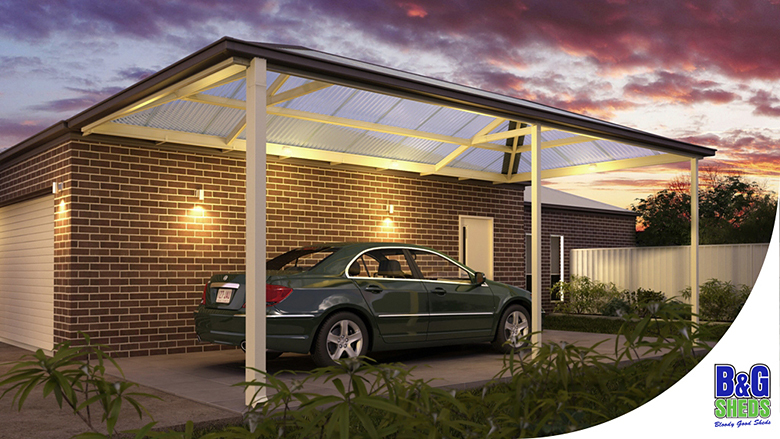 20 year structural performance warranty* offering you confidence & peace of mind. 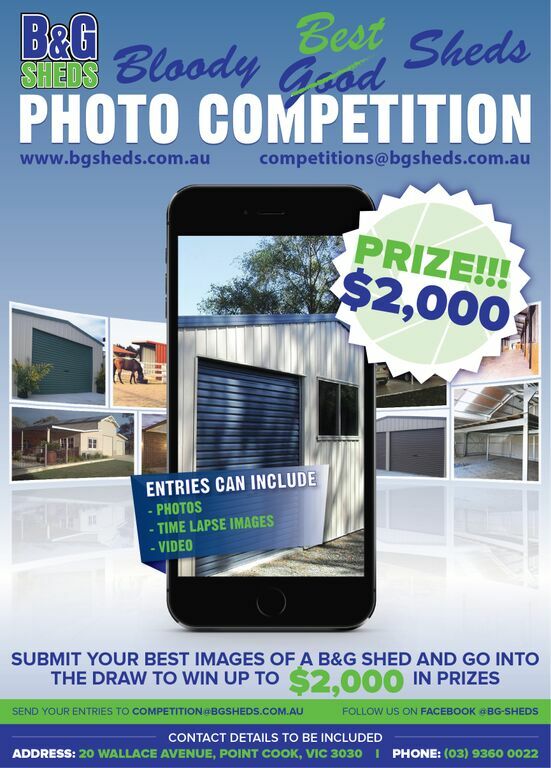 B&G Sheds can sell DIY kits for owner builders complete with full instructions, plans and the details needed to apply for permits and install themselves. 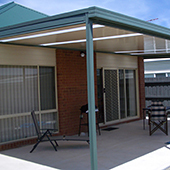 We also supply a full installation service with permit applications, site measures, delivery, installation and concrete services. 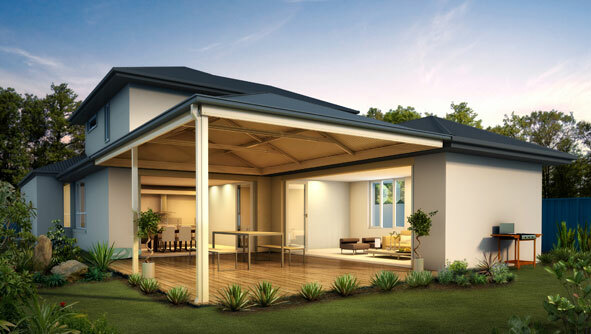 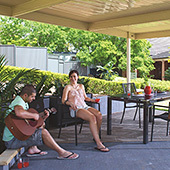 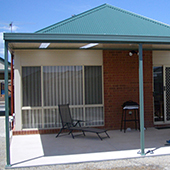 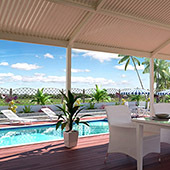 Versatile in its design, a Skillion verandah or patio is available either freestanding or attached to the home and will complement nearly every architectural style. 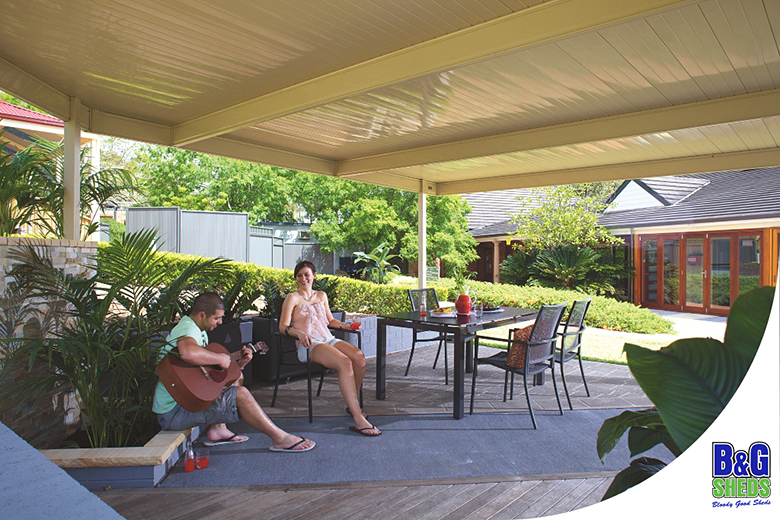 For a more open, spacious feel to your outdoor area, choose a LYSAGHT Living Collection® Pitched Gable, Hip or Dutch verandah or patio. 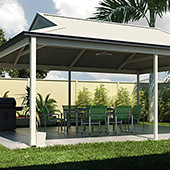 Available also in freestanding or attached. 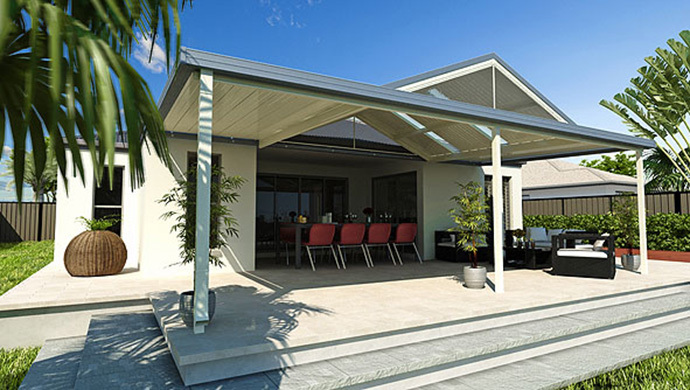 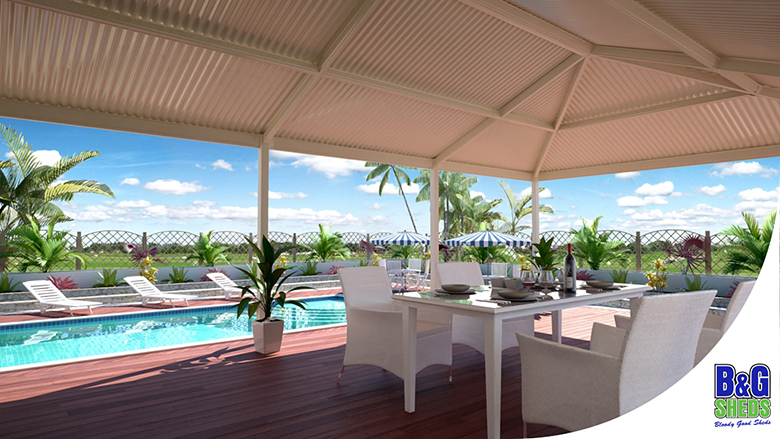 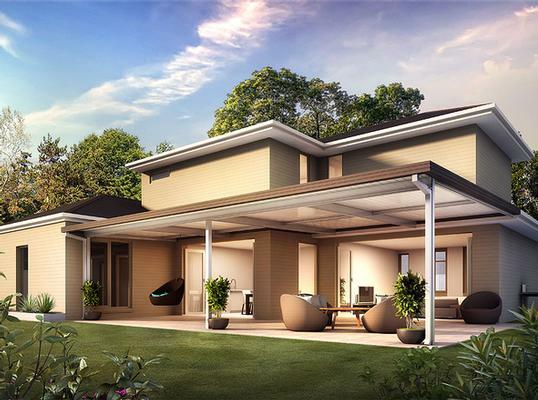 Combining elements of both the skillion & pitched style options, a LYSAGHT Living Collection® Designer verandah or patio offers you unparalleled design flexibility for your outdoor living area. 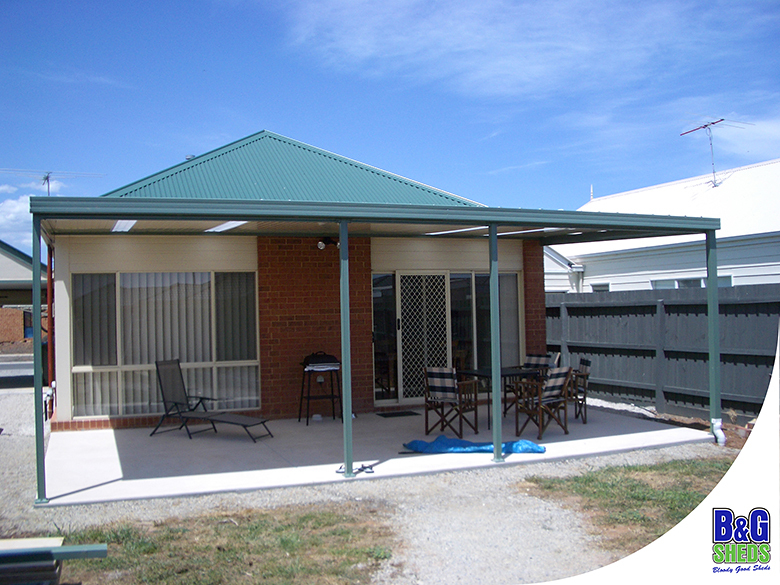 The LYSAGHT Living Collection® is the cost effective, safe and low maintenance solution for all your shade and shelter needs. 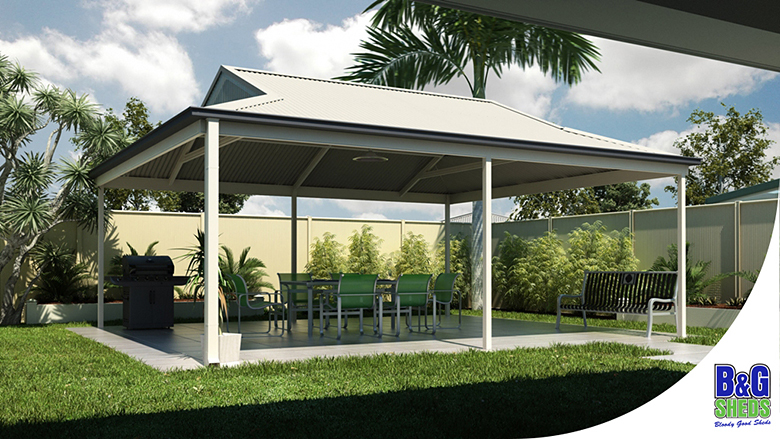 Custom designed and engineered to your specific design requirements your LYSAGHT Living Collection® structure will be an attractive and long lasting addition to your facilities.